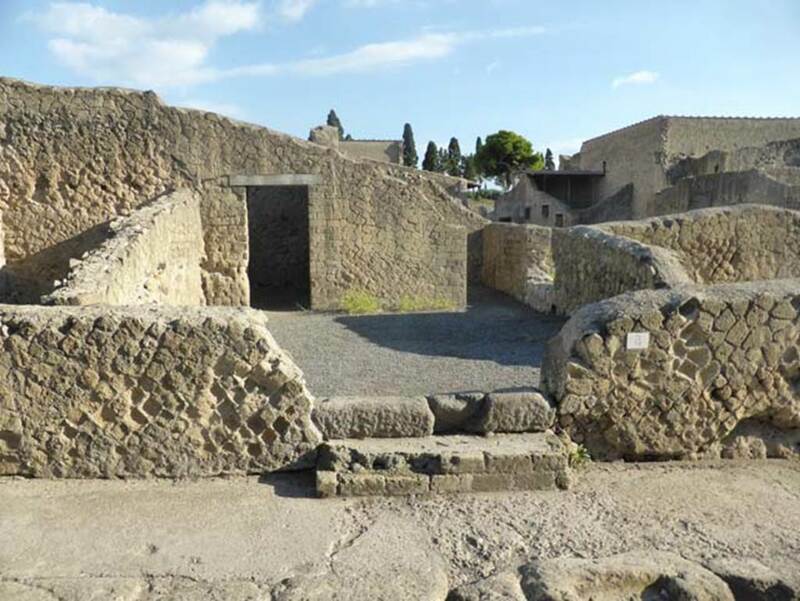 Herculaneum VI.3. 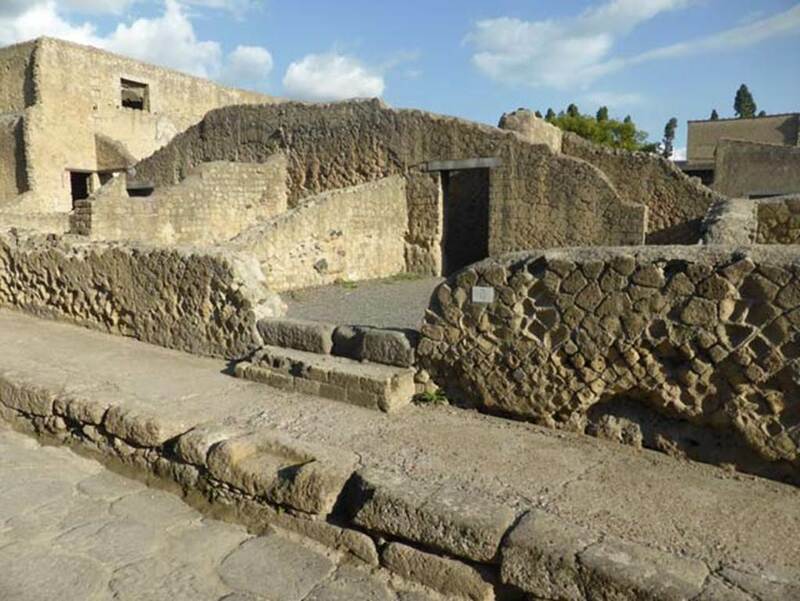 Hospitium, small inn/lodgings, linked to VI.2. 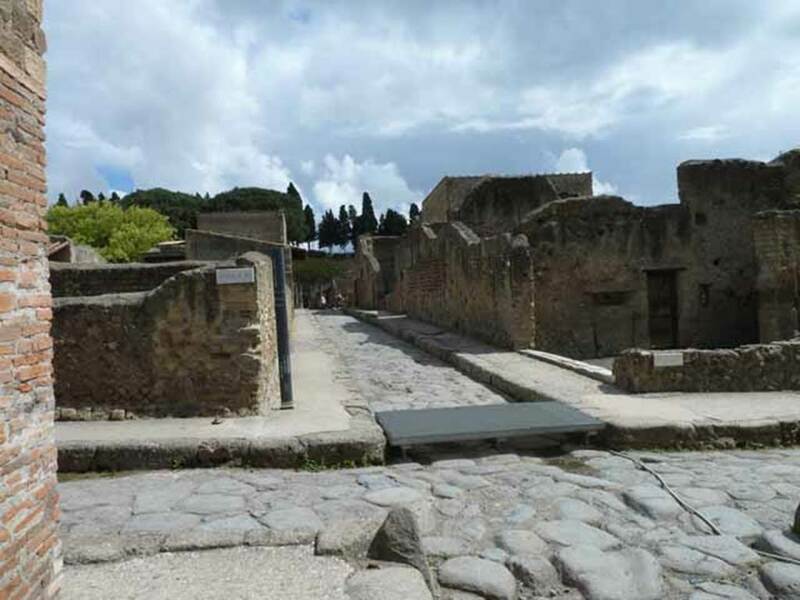 VI, 3 Herculaneum, September 2015. Looking north-east towards entrance doorway. 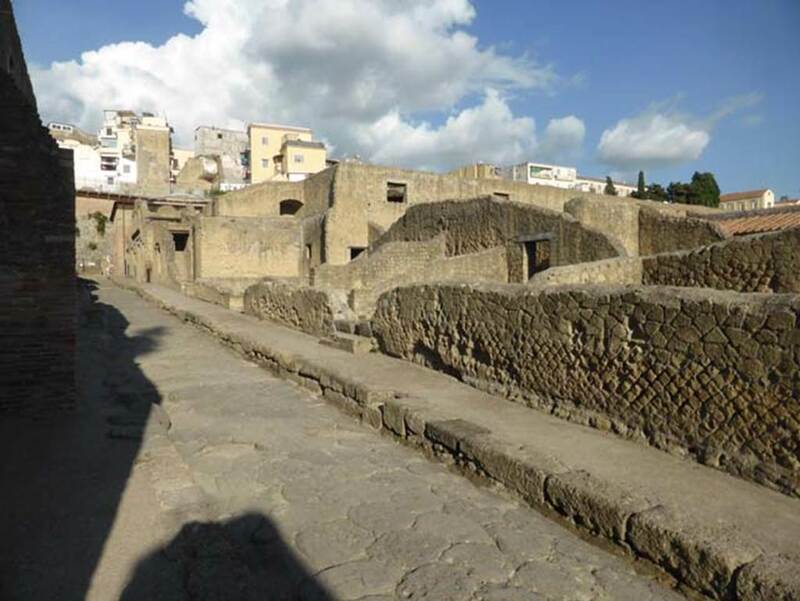 VI, 3 Herculaneum, September 2015. Looking east through entrance doorway. 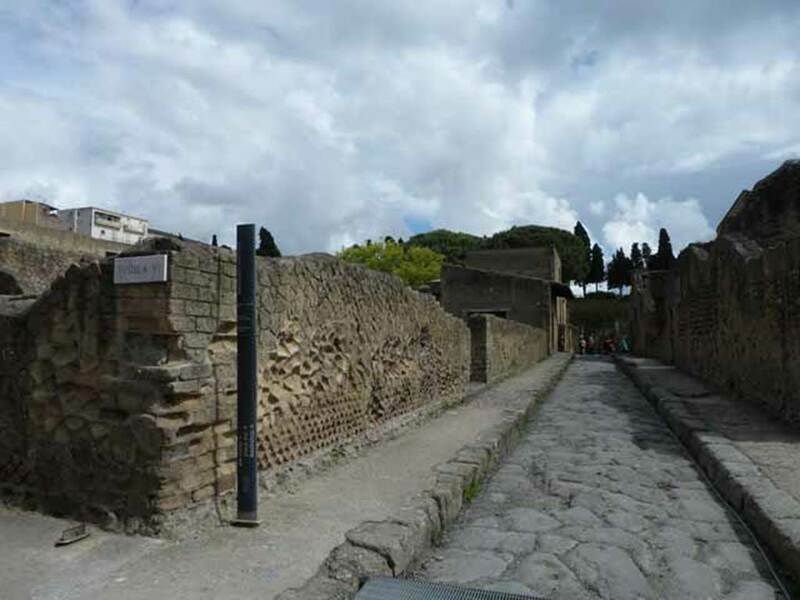 Looking north-east towards east side of Cardo III Superiore, from junction with Decumanus Inferiore. 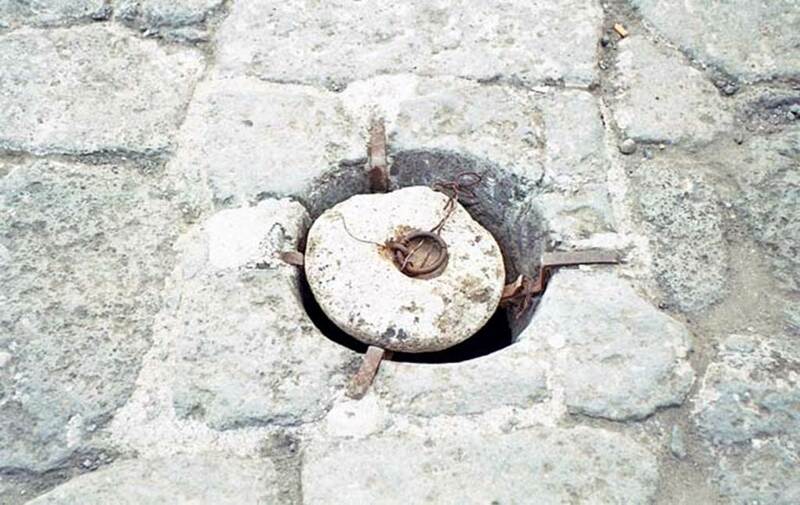 On the west side of the roadway, between the shadows of the building, appears to be a round drain cover, see photo below. Cardo III, Herculaneum. October 2001. Drain in road. Photo courtesy of Peter Woods. Decumanus Inferiore, looking east across junction with Cardo III Superiore on left, and Cardo III Inferiore on right. Ins. VI corner, on left ahead. Corner of Ins. III on right ahead. May 2010. Decumanus Inferiore, looking east along north side of Ins. VI, at its south-west corner, towards VI.4. May 2010.